Ray Segura is leading the charge to rework adult and youth sports in Plant City. 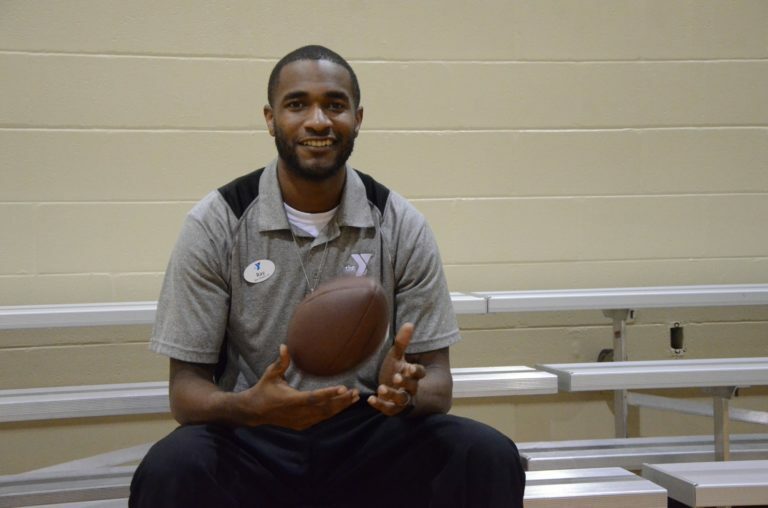 The Y’s newest Sports Experience Director comes to Plant City after two and a half years in Madison, Ala, at the Hogan Family YMCA. Segura, a two-sport high school athlete and NCAA Division I college football player, started working on the facility’s sports programs at the end of April and has a fully-realized set of goals for the next year. “I want to help the community of Plant City grow,” Segura says. While at the Hogan YMCA, his first sports management job after graduating from Alabama A&M University, Segura filled a similar role at a Y with over 15,000 members. Youth sports participation, he said, grew from 190-200 kids per sport to 350-370 by the time he left, with the exception of the flag football program that had just started. The Hogan job was a long time coming for Segura, who wanted to work for the Y since he was in college and knew earlier on that he wanted to work in sports. Getting there meant taking a path filled with obstacles. The New Orleans native was a senior in high school in 2006, when Hurricane Katrina ravaged the city and forced Segura and 48 family members to seek shelter in Alabama. “I just had the clothes on my back and a pair of tennis shoes,” Segura says. He spent his senior football season at Cullman High School in Cullman, Ala, where he got a full scholarship offer from Alabama A&M. After the school’s football and basketball seasons ended, he went back to McDonogh 35 Senior High School in New Orleans to graduate with his friends. graduate, a string of 39 tornadoes tore up northern Alabama on April 27, 2011. Segura wanted to work in sports, specifically with the YMCA, since hearing Hogan director Daniel Kasambira speak in college classes. He kept in touch with Kasambira through Facebook, though he was unable to join the Y right out of college. After four years of working in manufacturing to support his young family — a task made harder by the pins and screws in his surgically-repaired foot — Segura was finally able to join the team in 2015. Two and a half years later, Segura and his family made the decision to transition to Florida. He applied for an opening in Plant City and was selected from a pool of over 110 candidates. Hilferding’s goal was to find someone to help make local middle school and high school sports better through the YMCA’s resources and Segura’s experience at the Hogan Y seemed to be able to translate to Plant City. Segura formed what he’s called the “2018 Youth and Adult Sports Plan” to cover all bases through the upcoming year. Among the items listed in the plan are the promotion of pickup basketball sessions for 5-8 a.m. Tuesday and Thursday mornings, getting through youth basketball season starting June 26, adding an adult men’s basketball league, co-ed hoops, outdoor soccer and volleyball for the fall and hosting a flag football clinic. He and sports supervisor Byron Williams are hoping to get the Plant City community involved with the thought process, too. Segura is asking anyone with suggestions for sports and related programs to add or revamp to email him at Ray.Segura@TampaYMCA.org.